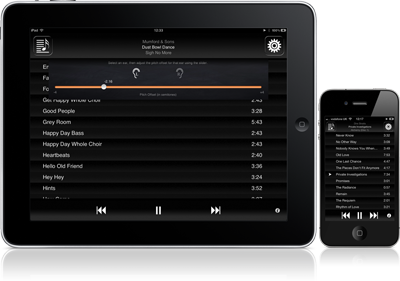 Chord Detector is aimed at musicians of any ability helping learn to play the tracks on your iPod music library by automatically detecting the chords within the track. Extremely popular tool for musicians and dancers. Slow down or speed up your music without affecting pitch with Tempo SlowMo, but that's not all it does! Test your chord playing ability. This App rates the accuracy and speed of your chord playing skills, giving you a 3 star rating. Are you a guitar hero? Diplacusis or Interaural Pitch Difference is a perceived difference of a single pitch from one ear to the other.